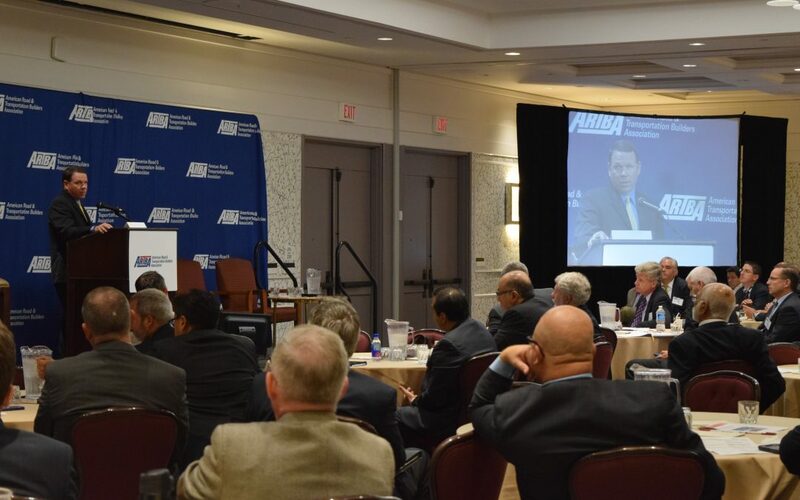 More than 200 transportation design and construction executives, financial services and consulting professionals, and federal and state transportation agency officials gathered July 13-15 in the Nation’s Capital for ARTBA’s 28th Annual Public-Private Partnerships in Transportation Conference. Over 100 people attended the overlapping 3rd National Workshop for State & Local Transportation Advocates on July 13. See separate Newsline story on that event. Participants at the P3 conference heard from Rep. Earl Blumenauer (D-Ore.), a member of the House Ways & Means Committee, and Rep. Sam Graves (R-Mo. ), chairman of the House Highways & Transit Subcommittee. “It’s a time of optimism for those of you rebuilding and renewing America’s infrastructure,” Blumenauer noted. He said there is an opportunity to capitalize on the certainty created by the FAST Act and from historically favorable interest rates. He noted that seven Republican-dominated states have agreed to raise their gas tax over the past two years and cited ARTBA research showing lawmakers who vote for such increases do not jeopardize their own re-election. Blumenauer said indexing the federal motor fuels tax and other options to provide a sustainable revenue source for the Highway Trust Fund (HTF) must be considered by the next Congress and administration. Likewise, Graves said the FAST Act was paid for with “gimmicks” and insisted that “everything is on the table” to fix the HTF. He said the House could address longer-term infrastructure funding solutions next year as part of a comprehensive tax reform package. Graves also predicted the next surface transportation reauthorization bill would place an even greater emphasis on P3s. The ARTBA P3 conference, which is the private infrastructure investment community’s premier annual gathering, included more than a dozen panels and break-out sessions, which ranged from international perspectives to the view from state legislatures. ARTBA’s P3 Owners Council, a peer group exclusive to public agency representatives, met for the third year. About 40 public officials and state legislators attended. During the conference, ARTBA presented its “P3 Entrepreneur of the Year” award to Purdue University President and former Indiana Governor Mitch Daniels, and the “P3 Project of the Year” award to the 16-mile U.S. 36 Express Lanes in Colorado. See separate Newsline story and video.